Somehow it's the middle of March. When and how did that happen? 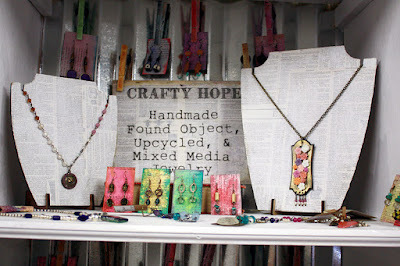 I spruced up the CraftyHope booth at Southern Antiques and Accents and have added a few new items to the Etsy shop as of late. As such, it's about time you get to see them right? Let's start with the display at the antique mall. There's lots to be seen. 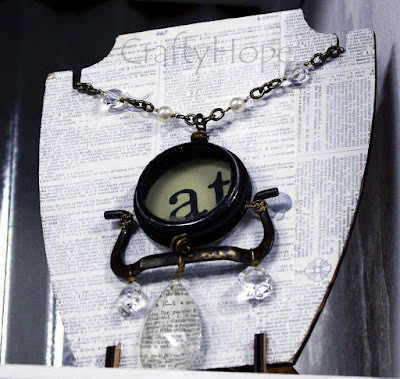 I didn't change out all of the necklace displays because about half of them were already St. Patrick's Day or Spring inspired. However, I did re-arrange several of the shelves to add more pretties to each of them. 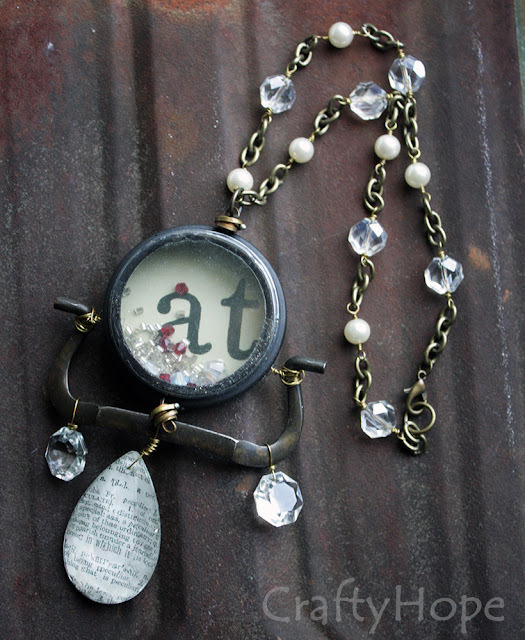 On the top shelf, I added a few items that had expired in the etsy shop. 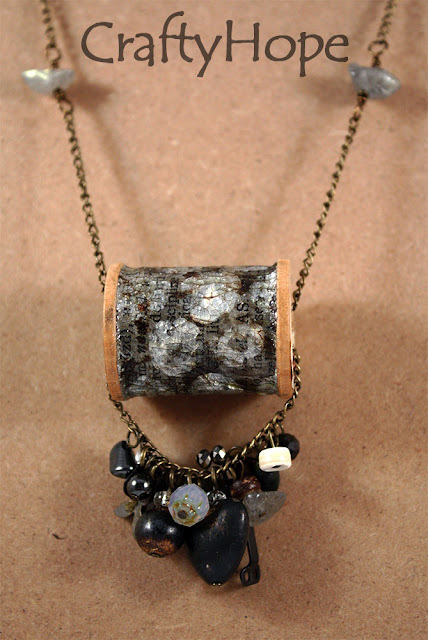 For one, this statement necklace that uses upcycled items and a large focal from Susan Lenart Kazmer's Industrial Chic collection. The picture above doesn't do this piece justice. My crackle spool necklace from the Vintage Wooden Spool Challenge in 2013 is also now in the shop. 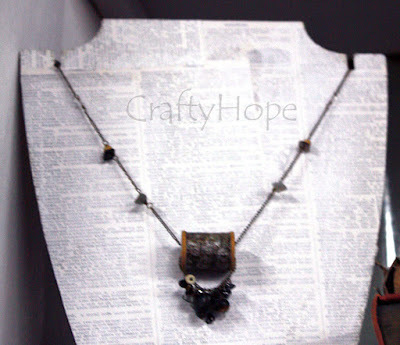 There are so many details to it that again, the blurry picture above just doesn't do it justice. Though it was made several years ago, I think the style definitely stands the test of time. 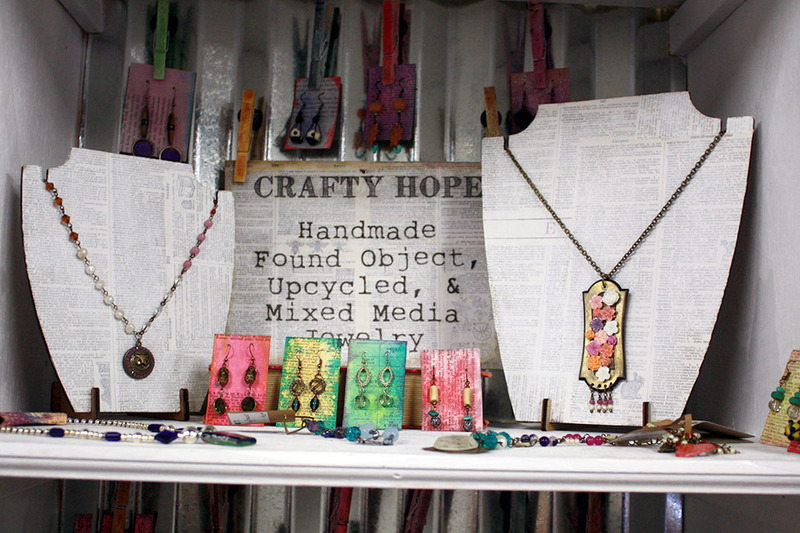 There are lots of other goodies to explore in the store if you're in the Fairhope area. 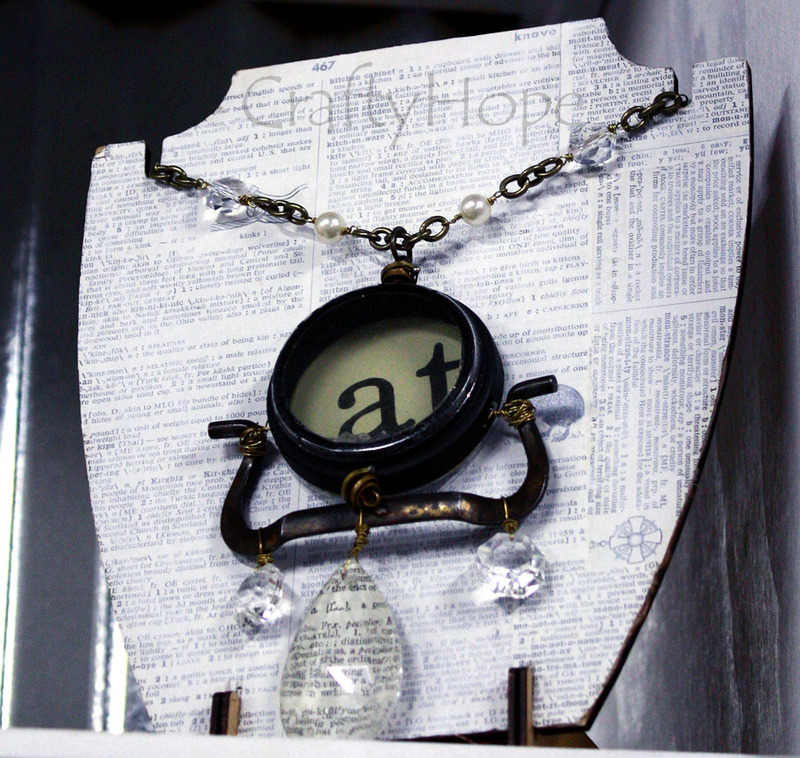 If you're not, check out some of the new items I've listed in the CraftyHope Etsy Shop. This Thimble Fringe Necklace was long in the making. I had wanted to do something with that old thimble forever. I'm so glad I finally got around to it. 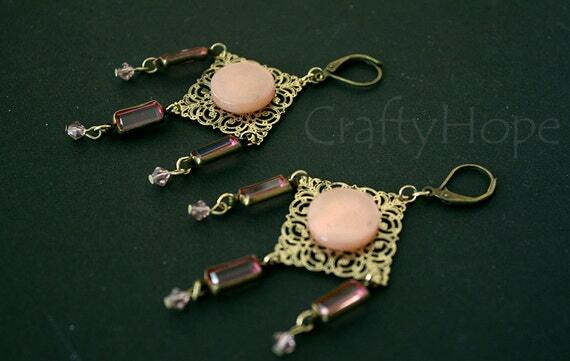 From several old jewelry items that I disassembled, these Pink Crystal Chandelier Earrings were given life. I think they would be great for prom or even Easter. I have such the thing for keys and keyholes. 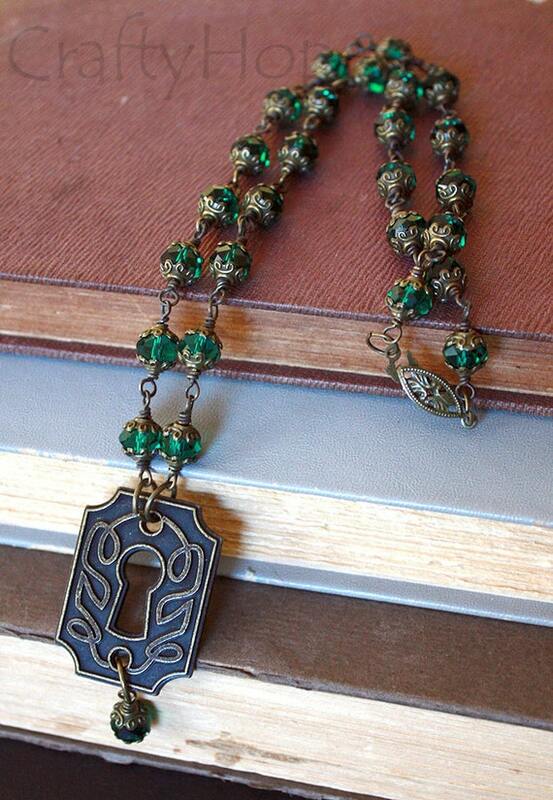 This Emerald Green Keyhole Necklace showcases some of the beauty I see in them. And, whoooooo doesn't love owls? (sorry, I couldn't resist!) 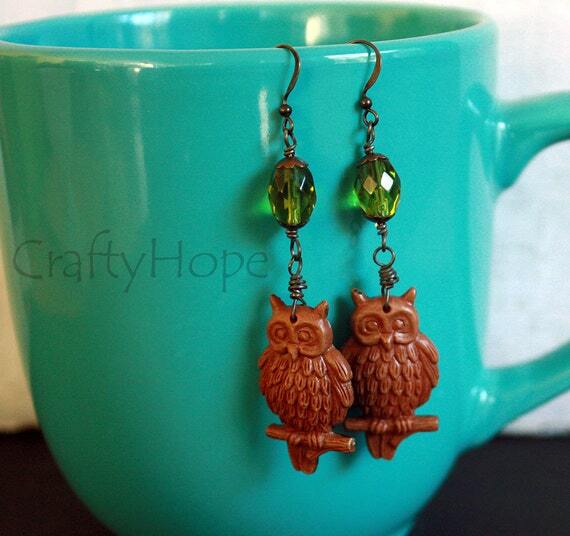 In all seriousness though, the owls in these Owl and Green Bead Earrings were previously scrapbook stickers. I couldn't resist turning them into jewelry. I must be on a pink earring kick. I've had the chandelier earring frames for ages and ages and needed to find some new way to use them. Adding the chain just came to me from out of nowhere. And, I love it! 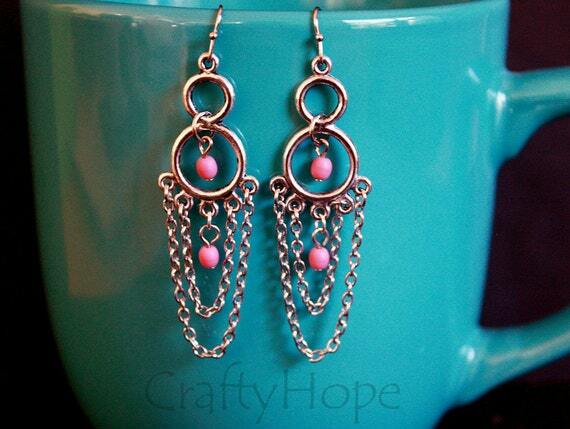 The small pink beads in these Pink Chain Chandelier Earrings are vintage glass and have a mauve-ish tone to them. There's loads more jewelry in the CratyHope Etsy shop and Southern Antiques and Accents booth. What's your favorite? Oh my! what a collection of gorgeousness - and you had me at hello with 'antique' ha! those owls were stickers? really?? so cute! and love the chain chandelier earrings :) oh do I remember all those spools! I remember loving this crackle one (and a few others by you) - that was a fun hop! Ana, Aw...thank you! Yeah. I like that one a lot as well. It's helped convince me that I really don't have to over-think designs and keeping it simple is sometimes best. I'm constantly having to remind myself of that. Dur. Thanks again!